With an eye to recent proposals on Paul’s view of the Law and his relation to his first-century context, N. T. Wright looks in detail at passages central to the current debate. Among them are some of the most controversial sections of Paul. 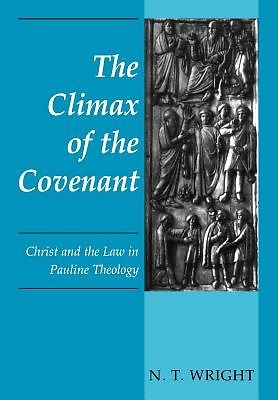 From his meticulous exegesis Wright argues that Paul saw the death and resurrection of Jesus as the climactic moment in the covenant history of Israel and from this perspective came to a different understanding of the function of the Jewish Law. Wright thus creates a basis from which many of the most vexed problems of Pauline exegesis can in principle be solved and longstanding theological puzzles clarified.